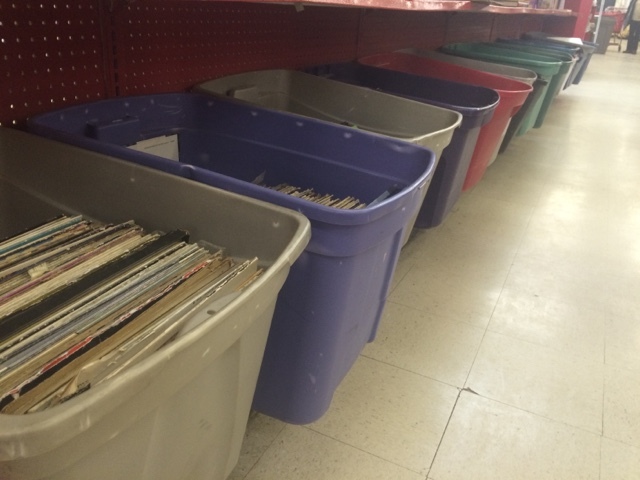 21 bins of vinyl...easily the largest collection I've seen in a store of this ilk. And nothing but junk - war torn records, perhaps 1/3rd were empty jackets. I did find a CTI classic (jacket only) and the mandatory Engelbert but nothing else of interest except for a Verve gem which was complete but pretty ragged. I left it behind for a hunter more desperate than I.